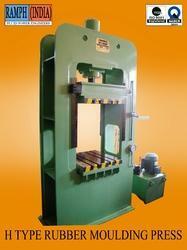 Prominent & Leading Manufacturer from Bengaluru, we offer rubber moulding press. We are known to be the leading manufacturer of Rubber Moulding Press. The range is quality tested by experts and professionals who conduct stringent quality check right from he sourcing of raw material till the final delivery of the range. The range is resistant to corrosion and offers excellent performance. We manufacture our complete range in compliance with international industry standards. Looking for Rubber Moulding Press ?